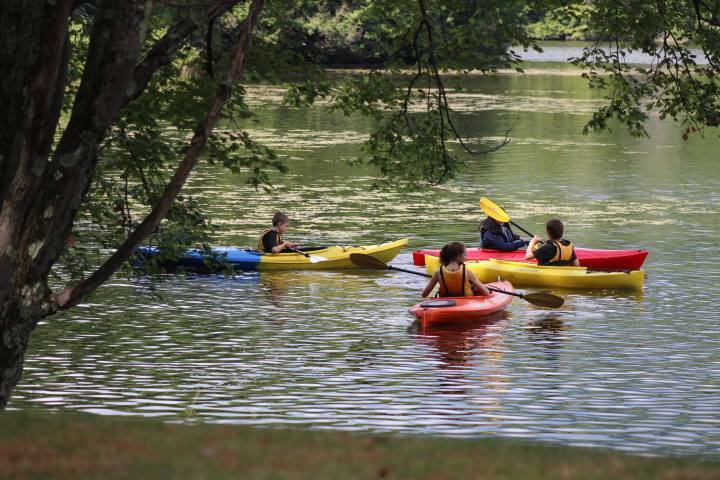 Join the Bart Center in the summer for fun including games, arts & crafts, paddling, swimming and hiking at beautiful Lake Shaftsbury in Shaftsbury, VT. With an emphasis on team building and having fun. Games such as kickball, bocci, volleyball, and whiffle ball are all popular. Campers will need to bring their own lunch for a picnic next to the lake. Day camp is for all ages and all special needs, and runs from June through August on Tuesdays from 10:00 am until 3:00 pm. Participants can sign up for one day, one week, or just once in a while. If you are planning a trip to Vermont and want to spend a day or two with us we would love to have you come and join us. To register for summer camp please fill out and return the registration form below.